South Woodstock has long been a home away from home for horse people. We are very pleased to invite you to come and explore everything Vermont Horse Country has to offer. From hoofpicks to homesteads, everything for horses and the people who love them! We really do live in a Winter Wonderland:-). Come and see! Welcome to Vermont Horse Country and South Woodstock, Vermont. We'd like to introduce you to our community and everything it has to offer... not just to the equestrian community... but to anyone looking for Vermont the way it used to be. 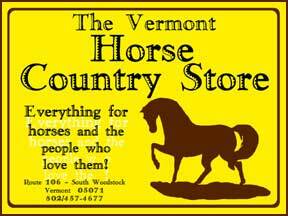 For horse people, you can find everything for horses and the people who love them at The Vermont Horse Country Store, a full service tack shop offering "countrywear and footwear for a stable life" as well as an equine gallery offering art, antiques and ephemera. If you are interested in coming here on a more permanent basis Vermont Horse Country Real Estate can help you find a country, village or equestrian property perfectly suited to your needs. If Vermont is where your heart is, let them help you call it home. If you are looking for traditional Vermont Morgan horses, High Brook Morgan Horses has stock for sale and offers farm tours by appointment. If you would like to get up close and personal with working Vermont horses we have The Kedron Valley Stables, a local boarding facility that offers an indoor arena as well as lessons and wagon and sleigh rides on one of the most beautiful trail systems anywhere. 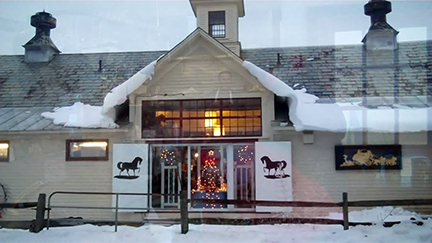 South Woodstock is perhaps best known in equestrian circles as the home of Green Mountain Horse Association, arguably the oldest continuously operating equestrian organization in the country. South Woodstock has, broadband Internet service and its own Post Office as well as The South Woodstock Country Store, a traditional general store where you can pick up a newspaper, a quart of milk and other simple necessities and find delicious breakfasts and lunches. 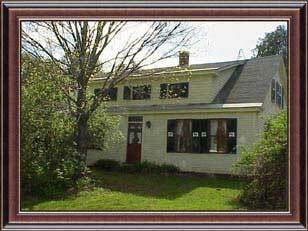 For over 150 years The Kedron Valley Inn has welcomed visitors. It is a real country Inn with a great restaurant and tavern as well as a very special wedding venue. We also have a beautiful community church available for wedding ceremonies. There are also several unique B&B's and guest house rentals. Some of the best maple syrup in the world comes from the Kedron Valley. We have our own community museum, The Green Mountain Perkins Academy, for a look at local history. Local cheese is now an important part of our community. We even have an auto repair shop, The Kedron Valley Garage, and an auto body shop! About the only thing you have to leave South Woodstock for is gas... you have to go to town for that! Whether you are looking for a great place to ride your horse, raise your family or just retire and enjoy yourself, South Woodstock, Vermont, in the heart of Vermont Horse Country, is truly one of the last, best places on earth. We hope we'll see you here soon! Cool Stuff at our Web Store! Search 100's of area properties! 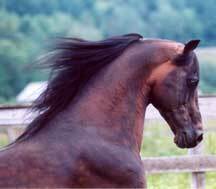 Thinking about buying or selling a property in Vermont Horse Country? Get FREE tips and reports here! Check out our eCommerce Web Store for great specials and unusual gifts! Take a look at our stallions and our young stock for sale!